Led by Annette Schiller, the Bordeaux Tour 2016 by ombiasy WineTours took place from September 6 to 15, 2016. 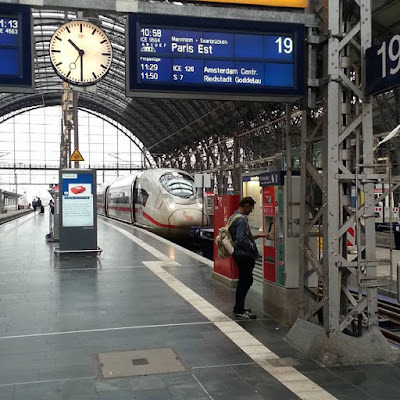 The group comprised 14 wine lovers from the United States and Switzerland, including Annette and Christian Schiller. 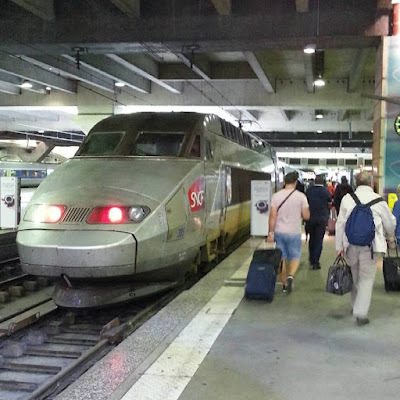 Like other group members, Annette and I stopped a night in Paris en route to Bordeaux. From Frankfurt to Paris, we took the high-speed ICE train. 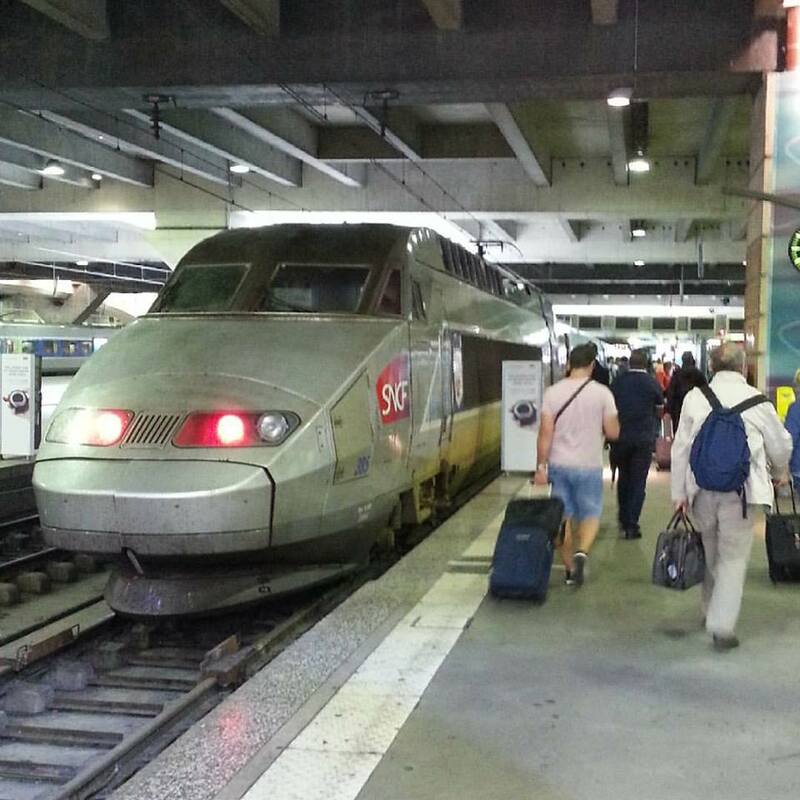 From Paris to Bordeaux we took the high-speed TGV train, which leaves from Gare Monteparnasse. Accordingly, our hotel was located in the Monteparnasse area and we used the opportunity to eat and drink at a few iconic left bank places on Boulevard Monteparnasse. Upon arrival in the afternoon from Frankfurt, we did a bit of shopping on the left bank and passed by Les Deux Magots and Café de Flore, which are both located on Boulevard St. Germain-des-Pres. We took our pre-dinner drinks at La Rotonde on Boulevard Monteparnasse, just opposite to the Le Dome, where we had dinner. (We were torn between Le Dôme and La Closerie des Lilas). 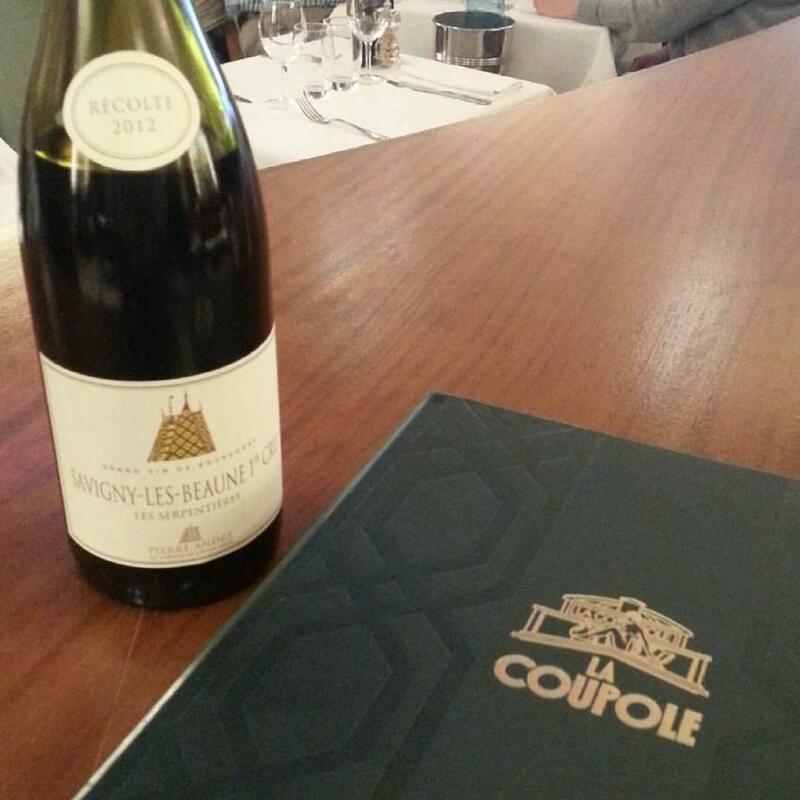 The following day, we had lunch at La Coupole, before hopping on the TGV to Bordeaux. Le Dome Cafe: The very next line in Hemingway's quote above is, "Ten years from now it will probably be the Dome." Le Dome Cafe in Montparnasse in Paris was actually the first major cafe in that area to attract ex-pats and intellectuals. 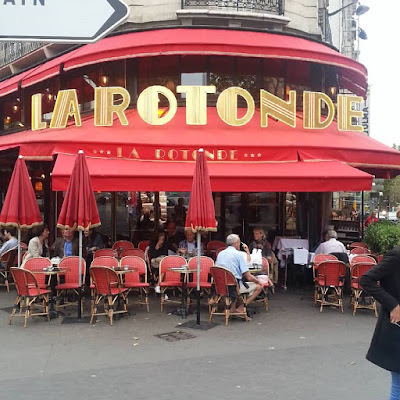 La Rotonde, Le Select and La Coupole were its competitors, but the Dome is now a more established seafood restaurant, no longer catering to up-and-coming artists and writers. The Literary Café in St. Petersburg. 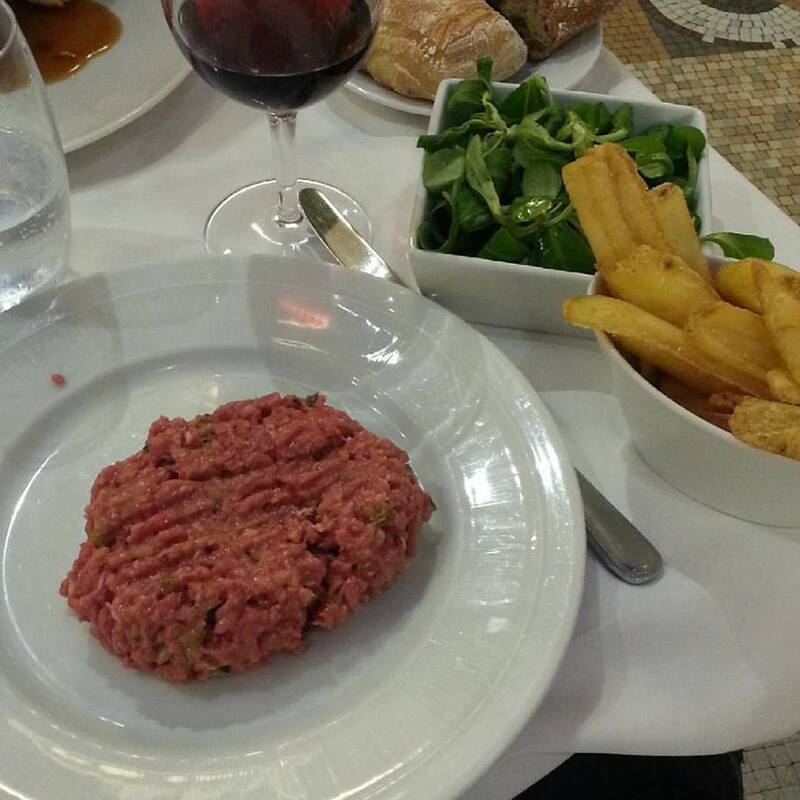 Les Deux Magots: Now a popular tourist spot, Les Deux Magots is known as Hemingway's favorite spot in Paris. But the St. Germain-des-Pres cafe also served many other legendary writers and artists, including Rimbaud, Simone de Beauvoir, André Gide, Jean Giraudoux, Jean Paul Sartre, and even Picasso. It's one of the oldest cafes in Paris, and pays tribute to its old but polished heritage in its current design and character (though is most likely more expensive than it was in Hemingway's day). Café de Flore: Now a popular hang-out among the fashion set and other glamorous types, Cafe de Flore — principal rival to Les Deux Magots — was another office for Hemingway and his contemporaries. In 1994, Café de Flore began handing out its own annual literary prize — the Prix de Flore — to promising young authors of French-language literature. Besides a cash prize, the winner gets to drink a glass of the white wine Pouilly-Fume at the cafe every day for a year. Dingo Bar: Now the restaurant Auberge de Venise, the Dingo Bar was another Montparnasse staple that opened in 1923 and catered to English and American ex-pats in Paris, like writer Djuna Barnes and publishing house owner Nancy Cunard. It's also the spot where Hemingway and F. Scott Fitzgerald met for the first time. Harry's New York Bar: Actually located in Paris, Harry's New York Bar was named for its early manager, a Scotsman. It opened in 1911, and Harry was supposedly responsible for making it a legitimate ex-pat cafe during the next decade, attracting Sinclair Lewis, Humphrey Bogart, Hemingway, and others. Side tip: Harry's New York Bar is also where the Bloody Mary was first concocted. Antico Caffe Greco in Rome. La Coupole: La Coupole is another historical Montparnasse cafe, which opened in 1927, soon after Le Select, and aimed to compete against Le Dome for the expat intellectual clientele. The massive cafe could seat 600 people, including famous guests like Simone de Beauvoir and Jean Paul Sartre. La Coupole is now an official historic monument. La Closerie des Lilas: Also situated in Paris' Montparnasse is La Closerie, which opened in 1847 and attracted everyone from Henry James to Leon Trotsky to Gertrude Stein and Hemingway, who references nearby statues and descriptions in The Sun Also Rises. Caffe Giubbe Rosse in Florence. Upon arrival in the afternoon from Frankfurt, we did a bit of shopping on the left bank and passed by Les Deux Magots and Café de Flore, which are both located on Boulevard St. Germain-des-Pres. Located on the Carrefour Vavin, at the corner of Boulevard du Montparnasse and Boulevard Raspail, La Rotonde was founded by Victor Libion in 1911. 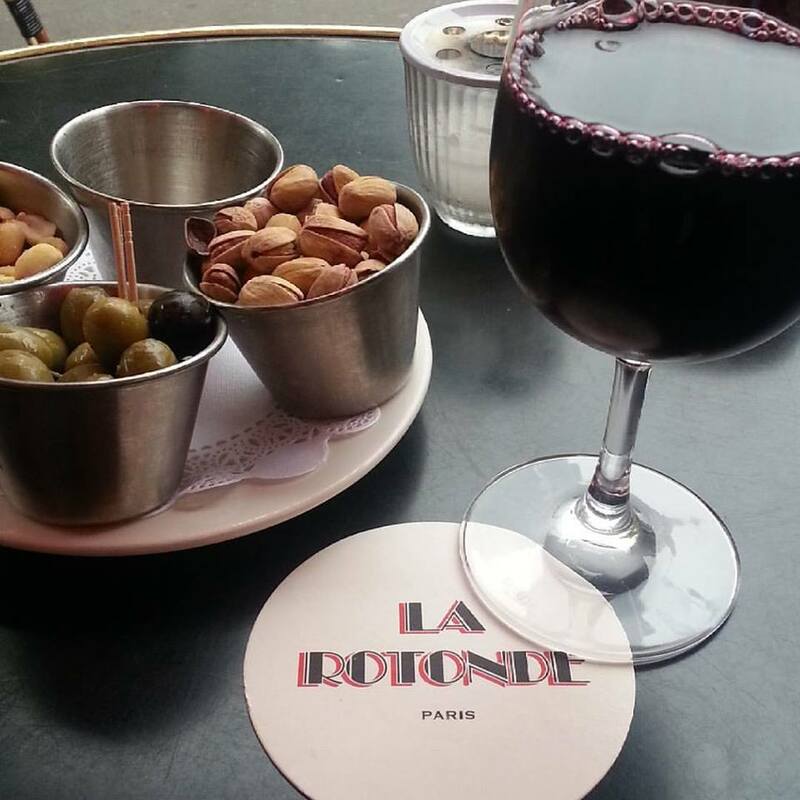 La Rotonde has retained much of its bohemian charm and continues in operation to this day as a popular spot for the Parisian Intelligentsia. Picasso portrayed two diners in the cafe in his painting "In the cafe de la Rotonde" in 1901. It was the preferred place of the Russian crowd, includng Trotsky and Lenin. From the beginning of the 1900s, it was renowned as an intellectual gathering place. A poor artist used to be able to get a Saucisse de Toulouse and a plate of mashed potatoes for $1. 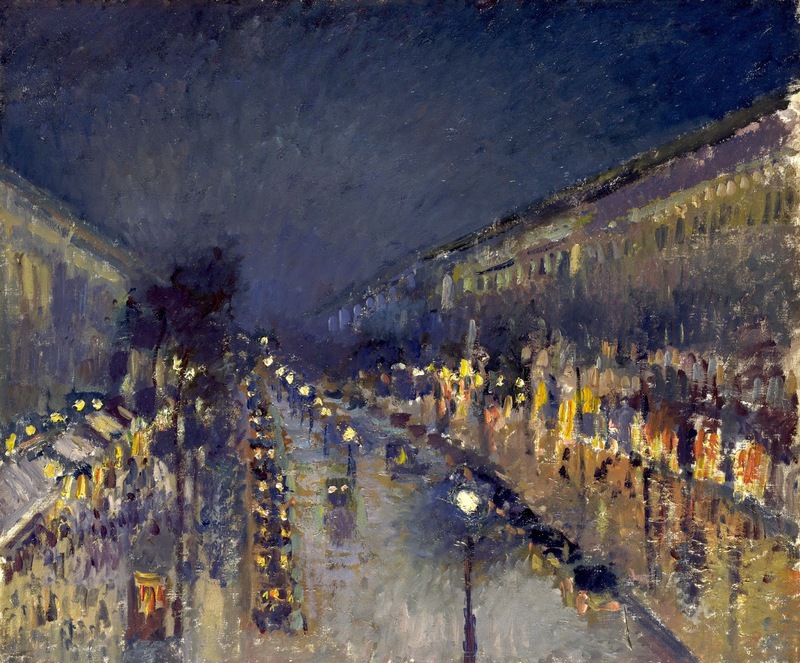 Le Dôme later became the gathering place of the American literary colony and became a focal point for artists residing in Paris's Left Bank. It was widely known as "the Anglo-American café." Today, it is a top fish restaurant, with a comfortably old-fashioned decor. The food writer Patricia Wells said, "I could dine at Le Dôme once a week, feasting on platters of briny oysters and their incomparable sole meunière." An institution. Huge. Josephine Baker took a bath in the fountain, which sits in the middle of the brasserie. Jean-Paul Sartre dined here. Hemmingway, Fitzgerald and Joyce consorted here. Henry Miller cam here for his morning porridge. Man Ray and Matisse were also part of the local fauna. Generally, it was the preferred place of the American crowd. No reservations – you wait at the bar.